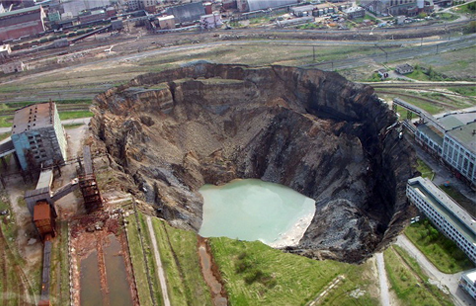 It is widely agreed that all catastrophic geological phenomena (EARTHQUAKES, LANDSLIDES, rock falls, karst, mudflow and man-made processes underworking excavation, subsidence, etc.) occur unexpectedly. However, scientists know that each such threatening process is preceded by a long "preparatory period"! 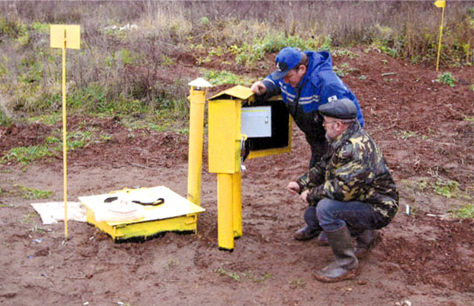 We understood how to detect and control it in time with the help of innovative technology from the LLC GEOTEK, developed jointly with the Siberian Branch of the Russian Academy of Sciences, based on the ENPEMF (Earth’s Natural Pulsed Electromagnetic Field) in zones of increased geodynamic risk. 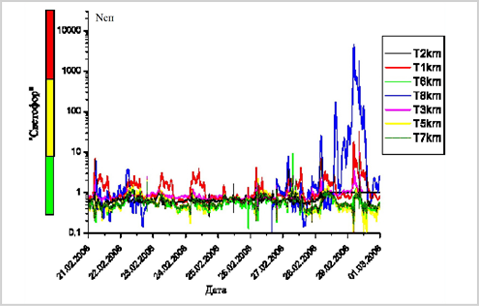 The geophysical method is based on the functional relationship between mechanical stresses in rock massifs and the number of electromagnetic pulses generated by rocks in the field of mechanical stresses. This allows to evaluate the stress condition of rock massifs on a qualitative level, and also to predict the development of geodynamic processes. 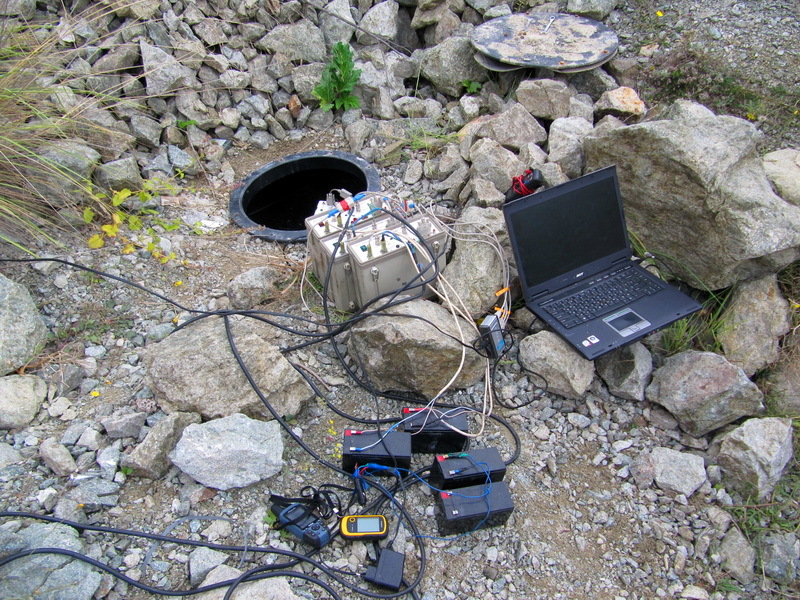 The experience of implementing our practical work shows that the ENPEMF method technology brings undoubted benefits and can provide vital activity in geodynamically active areas. 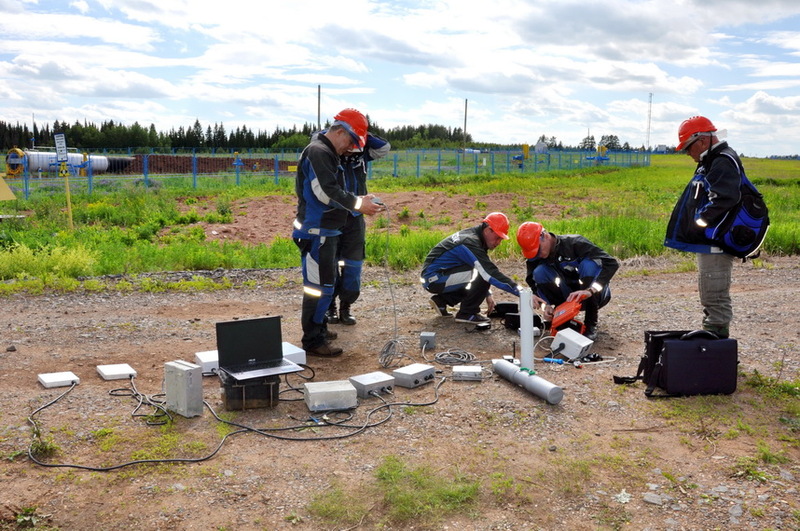 That is why our Automated System for Geophysical Monitoring of Early Warning of Geological Hazards (AGMS) successfully operate at a number of critical facilities of PJSC Gazprom. AGMS system has no analogues both in Russia and in the world. Its main advantage is the opportunity to forecast the activation of geological events (EARTHQUAKES, LANDSLIDES) well in advance of their actual dates. 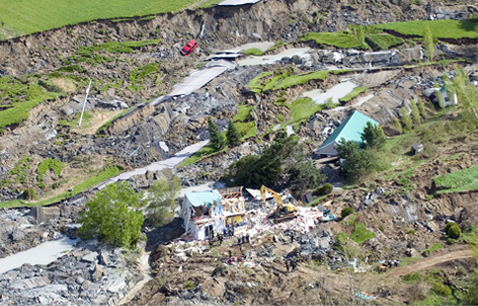 The main result of implementation of AGMS system is duly adoption of measures to prevent catastrophic and accidental situations at facilities located at potentially dangerous geodynamic sites as well as reduction of effects of emergency situations. The main advantage of the AGMS system is a possibility to forecast activation of geological events (earthquakes, landslides, etc.) well ahead of its real occurrence (from 2 days to 1-2 months). This temporary horizon is currently unavailable for any other geohazard monitoring and alarming system. AGMS makes possible to receive a reliable information in advance of the catastrophically dangerous situation in the problem area and forecast its development! 1. 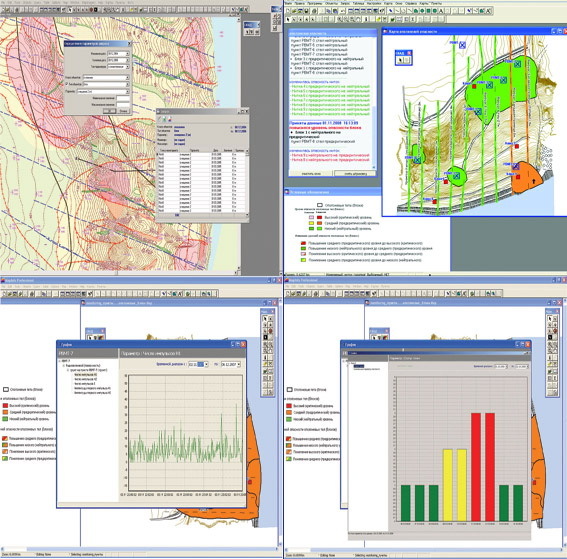 Real-time display of early periods of the beginning of changes in stressed and deformed state of grounds under the influence of hazardous geological processes which are still not evident in the surface and unavailable for traditional control methods. 2. 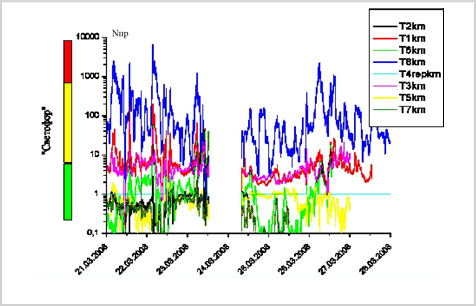 Effective forecasting of development of hazardous geodynamic situation. 3. Real-time situation monitoring and possibility to operatively adopt weighted governing decisions Special Management Services. The highest efficiency of the Automated System for Geophysical Monitoring of Early Warning of Geological Hazards derives from minimizing the number of casualties, let alone the economy of immense funds required for liquidation of consequences of accidents which could have been avoided! 1. The analyze of earlier performed engineering works, archive materials and published materials. Pre-aquisition deciphering. 2. 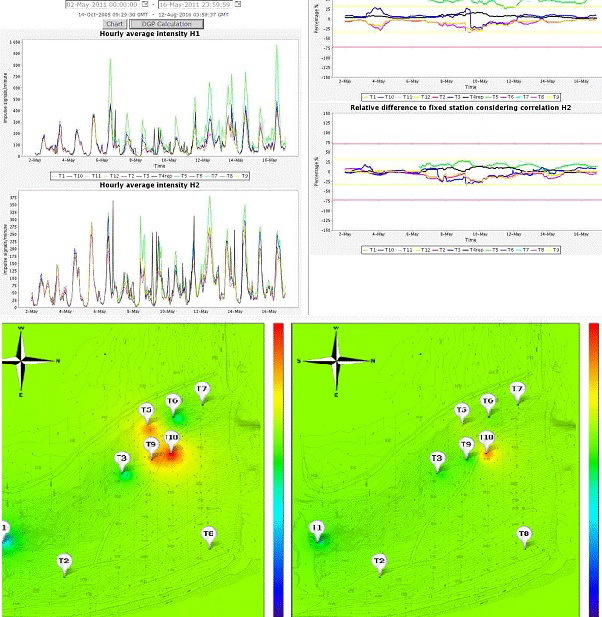 Complex diagnostics of ground condition: Structural geodynamic mapping of ground condition through ENPEMF methods with the involvement of geological engineering research. 3. Office processing of the materials. 4. The results of complex works are used to determine the optimal number of points and places to build observation stations on landslide slope (as well as geological and geomorphological features of landslide) and benchmark stations (basis observation points) in places where the intensity of field research ENPEMFsignals is practically equal to zero and geodynamic processes are not observed. 5. 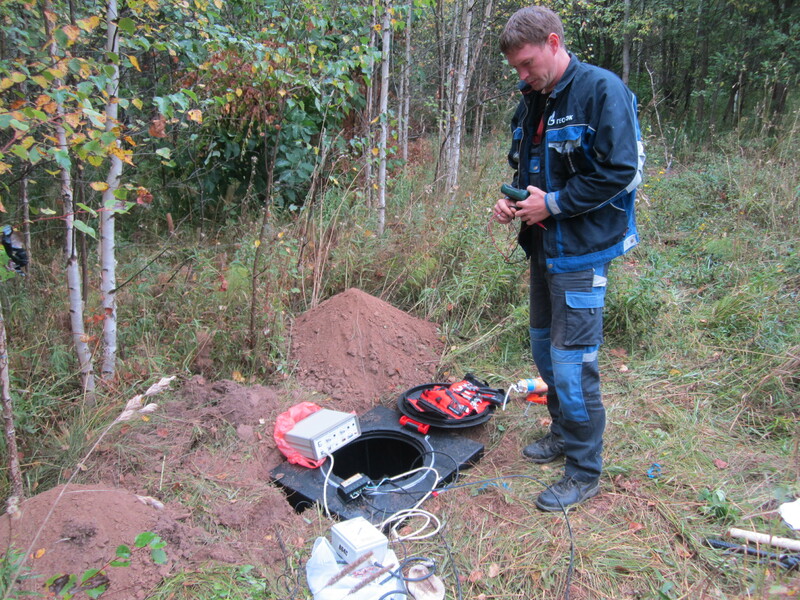 Preparation for the arrangement of AGMS system (geophysical stations (multi-channel geophysics data recorder), equipment and accessories, data collection module, GSM modem, vandal-proof submersible bunkers) with the arrangement of power supply channels (accumulators, solar panels or a cable for onsite power supply), governing computer, software. 6. Arrangement of operator workstation, communication with the dispatcher. 7. Installation of observation points, instrument testing and setting, putting AGMS into operation with the possibility to run on-line (Internet) monitoring of the situation and to operatively make well-balanced governing decisions. After putting AGMS into operation the personnel shall be taught its maintenance and data analysis. 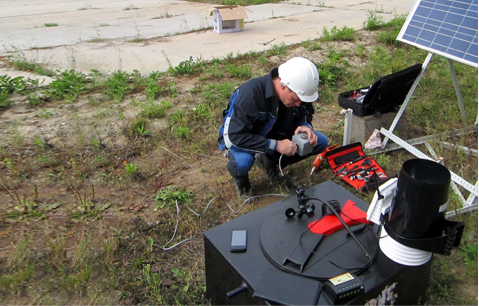 When necessary, the repair of system instruments and equipment is carried out by our specialists. The consultation with our specialists on data deciphering issues is possible any time. 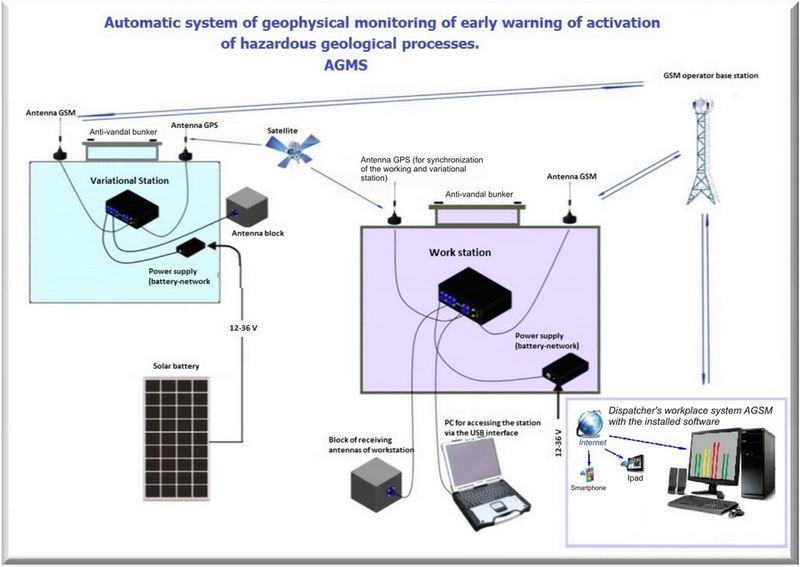 Automated System for Geophysical Monitoring of Early Warning of Geological Hazards on the basis of the ENPEMF method for the technological risks reducing! This technology can be used in the shelf zone as well. The studies of Earth’s Natural Pulsed Electromagnetic Earth’s Field (ENPEMF) have been successful. The AGMS can be used at the sea bottom (bottom geophysical stations). This technology based upon Earth’s Natural Pulsed Electromagnetic Field (ENPEMF) methods holds the number of RF Patents and the instruments and equipment are certified. Authors of Patents have many publications of scientific articles (available on request).